Obama Tells Merkel The U.S. Is Not Wiretapping Her Phone : The Two-Way Germany said it received information that the U.S. was tapping German Chancellor Angela Merkel's cellphone. Merkel called Obama to say those practices must end. 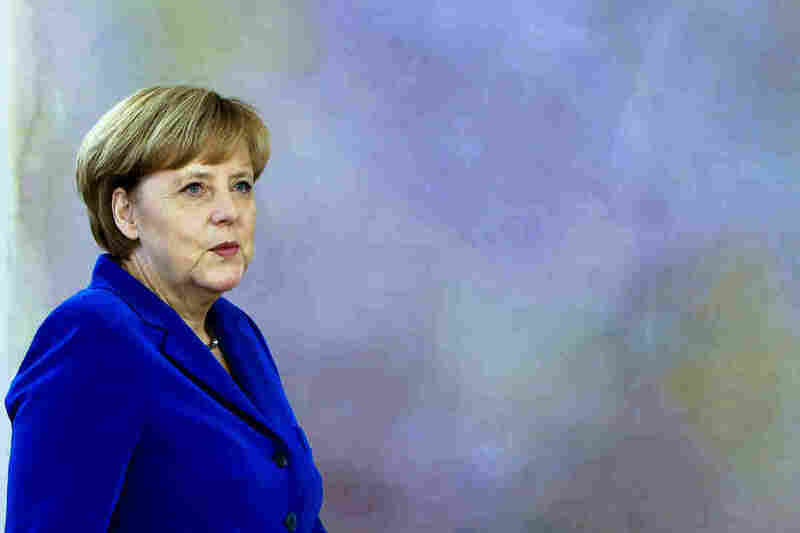 German Chancellor Angela Merkel called President Obama today to tell him that any spying on her communications were "completely unacceptable." "He further quoted her as telling him: 'That would be a grave breach of trust. Such practices must cease immediately.'" Of course, this is not the first time the U.S. has angered one of its allies over allegations of spying. As we've reported, documents leaked by NSA contractor Edward Snowden were reported to show that the U.S. had spied on Mexico's Enrique Peña Nieto and Brazil's Dilma Rouseff. Rouseff, in fact, was so angry at the revelations she postponed a state visit. The White House issued a readout of Obama's phone conversation with Merkel. "The President assured the Chancellor that the United States is not monitoring and will not monitor the communications of Chancellor Merkel," the statement read. "The United States greatly values our close cooperation with Germany on a broad range of shared security challenges. As the President has said, the United States is reviewing the way that we gather intelligence to ensure that we properly balance the security concerns of our citizens and allies with the privacy concerns that all people share. "Both leaders agreed to intensify further the cooperation between our intelligence services with the goal of protecting the security of both countries and of our partners, as well as protecting the privacy of our citizens."